We will in a world of rapidly increasing technology, and with those technological advancements we are starting to see more and more programs being created for both educational and entertainment purposes. One of the greatest examples of this is Google Earth, one of the most popular pieces of software on the web. Using a global satellite to zoom in on the finer details of out planet, this aerial imaging system has so far only been available as a desktop item for your computer. But now you can get the Google Earth app for the iPod Touch. Using the Google Earth app for your iPod Touch, you can zoom in to view streets and buildings in any city in the world, sour over mountainous peaks, skim over the crystal blue oceans, or just go through the thousands of panoramic photos taken of places all over the world. But one of my favorite features of this application is the ability to zero in on your current location, and see what is around you in a way you never have before. If you are looking for a more practical function from the Google Earth app, you can use it to search for cities, businesses, local destination points, attractions, historical places of interest, and more, and you can do so around the globe, which makes it a crucial item to pack when you travel. 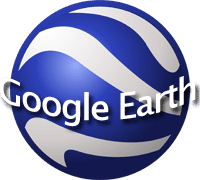 It’s available in a number of languages, including English, Japanese, Spanish, Swedish, Polish, French, and dozens of others, so the Google Earth app for the iPod Touch is for anyone. It is even compatible with the iPhone, which adds another level of functionality to an already amazing program. And it’s free, which can only be a serious plus. The graphics are amazing. You wouldn’t think they could create a decent 3D rendering on such a small device, but they pull it off, and the effect is comparible to the desktop version we all know and love. The close ups are especially impressive, and when you take a look at some of the more nature based images, you will be blown away. To download the Google Earth app for the iPod Touch, visit their iTunes page, either by searching for ‘Google Earth’ on their search engine, or by going to http://www.phobos.apple.com/WebObjects/MZStore.woa/wa/viewSoftware?id=293622097&mt=8. There you will see the ‘Get App’ button. Clicking on this will give you a pop up asking for your Apple username and password. If you don’t have either of these, you can register for one, and it will only take a few minutes to complete. From there just follow their step by step instructions, and you will be finished in on time. The Google Earth app for the iPod Touch is one of the most impressive applications to be released by Apple. With so many people already using the desktop version of this software, it isn’t surprising that this is quickly becoming one of the most downloaded apps of all time, and I am sure we will be seeing it’s numbers grow.